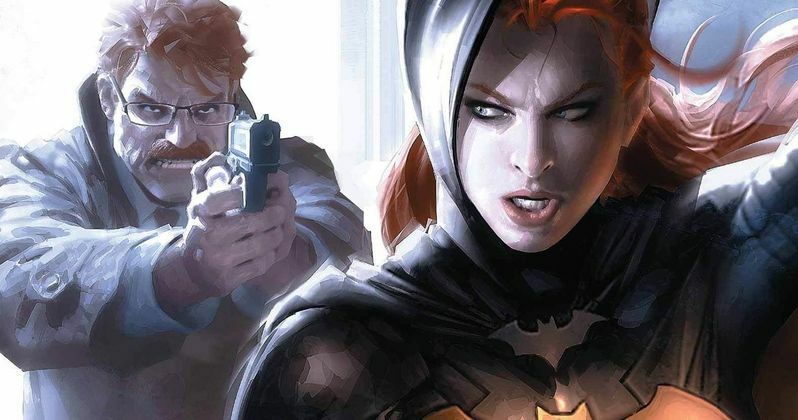 Many Marvel fans were stunned, perhaps even shocked, when they learned Joss Whedon had jumped ship to DC Films, where he's in the process of putting together the first-ever Batgirl movie. Soon after, speculation arose about who would play this iconic character for the big screen. While there were early rumors that the role had already been cast, Joss Whedon isn't admitting that. He does, however, think that this character should be played by an unknown actress. Joss Whedon helped launch the ever-expanding scope of the MCU with the very first Avengers movie and its sequel Age of Ultron. Those two films were important in connecting the overall Marvel universe and its characters. But the second installment nearly 'broke' Joss Whedon, as he put it. And he made it clear that he wasn't interested in making another movie under the Marvel roof. Though, his passion for superheroes obviously hasn't simmered. Now, he is deep into production on Batgirl, which will tie directly into DC Films and Warner Bros.' massive DCEU. It will mark the first time the character has ever gotten her own standalone movie, though she has been seen on the big screen before in 1997's Batman and Robin, played by then hot 'it girl' of the moment Alicia Silverstone. Speaking with Variety at the Guardians of the Galaxy Vol. 2 world premiere, Joss Whedon opened up about his creative process, claiming he's not looking for the current equivalent of Alicia Silverstone to play his leading binary human character in this empowering superhero adventure. "I have so many things to say about her, I'm very excited to see a girl in the cowl. I don't have my eye on anybody. I'm creating this character, I'm in a dialogue with her and then we'll see who joins that later on...I doubt it'll be a name. I think this is somewhere where you go and find Batgirl and then you cast her." So far, both Marvel and DC have given equal opportunities to both big stars and no name talent yet to be discovered. But as the superhero genre widens, more and more A listers are looking to get in on the fun. Whedon isn't against giving the Batgirl role to someone who'd pull in audiences just on name recognition alone. But he just doesn't think it's necessary in this case. "I'm not against movie stars, they're great, but you need somebody who's going to be just right, and a situation like this the name carries a lot of weight, so it's not as critical." It's interesting to note that early rumors claimed the Batgirl role had already been cast. Word in the trenches was that Lindsey Morgan is playing Barbara Gordon. She is best known for her role on The CW's 100, but is hardly a household name. No one from Warner Bros. nor DC Films has ever officially confirmed this to be true, nor have they denied it. But she fits the skin Joss Whedon is looking to fill. Batgirl is rumored to be arrive in 2019 amongst three other Batman centric tales, which include The Batman standalone movie, a solo adventure for Nightwing, and Gotham City Sirens, which is believed to introduce the role of Batgirl before she gets her own spin-off. Toby Emmerich, Jon Berg and Geoff Johns are all overseeing the Batgirl project, which just came together over the past few months and was never part of DC's initial film plans. Barbara Gordon is the daughter of Commissioner James Gordon, played by J.K. Simmons in the DCEU, with his introduction coming in this November's Justice League. She is an ally of Batman and Robin, first introduced in DC Comics way back in 1967. She was a key part of the old 60s Batman TV series, and was more recently seen in The Lego Batman Movie, voiced by Rosario Dawson. While Dawson is a good candidate for the live-action version, as she'd fill out the cape and cowl quite nicely, it sounds like Joss Whedon is going in a different direction with his casting. Even though Joss Whedon is so closely tied to the Marvel universe with his Avengers movies, he almost made it into DC's camp first. Over a decade ago, he had written a treatment for a Wonder Woman movie that he desperately wanted to make. Alas, it never came to fruition, with that character only now getting her own film this summer, some ten years later and sans Whedon's involvement at all. Though, that's not to say Wonder Woman won't have a cameo in Batgirl. Before the Batgirl news was announced, Whedon was hard at work on a World War II horror movie. It looks like he's put that on hold so he can play around in the DC sandbox, at least for a little while. What his Batgirl movie will ultimately look like is anyone's guess.